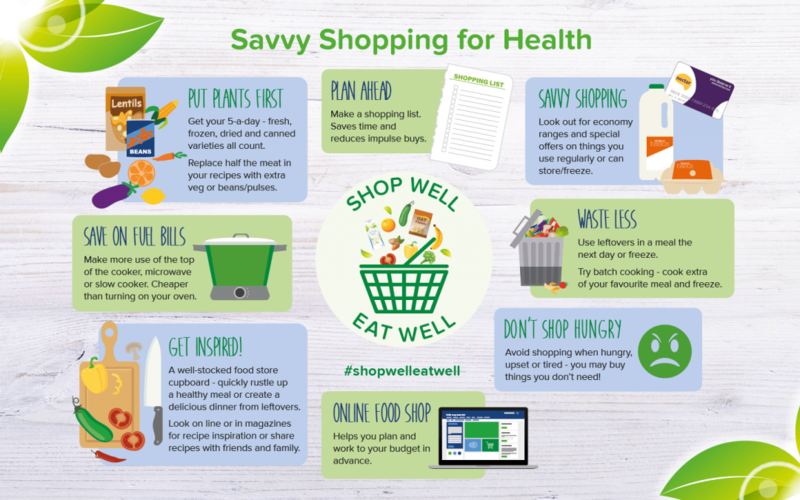 We’re excited to be involved in a new initiative to help tackle the critical problem of poor diet amongst lower income households: Shop Well – Eat Well. 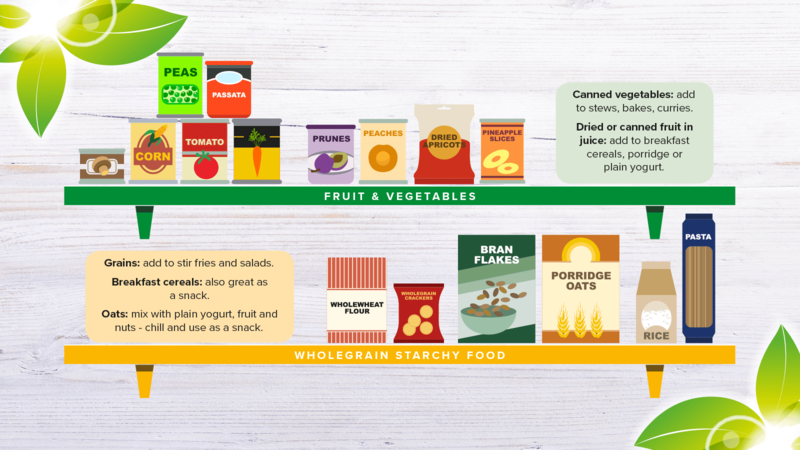 It’s a collaboration between the British Dietetic Association (BDA), Alpro and the Southwark Hub, with the aim of a multi-angled approach to have a real and lasting impact. Launched last month, we brought together experts to give their insights into key topics. Here’s a summary of some of the key points, followed by links to each of the presentations, which we highly recommend you take the time to watch! People in lower income groups in the UK have a significantly shorter life expectancy than the average: by nine years for women and seven for men. They have double the rates of cardiovascular disease, lifestyle-related cancers, type 2 diabetes and total mortality compared to the national average. Obesity prevalence of the most deprived 10% of children is approximately twice that of the least deprived 10%. This is not new news. Countless attempts have been made to try to address the problem and encourage people on lower incomes to eat more healthily, thereby increasing their quality of life and life expectancy. But when it comes to eating habits, behaviour change is very difficult to achieve. Financial barriers – For low income families, a big barrier to buying new foods or going to a new food shop is not knowing how much the food will cost, or assuming that it will all be expensive. Parents want to know exactly how much their shopping basket is before they reach the checkout. Social barriers – Food habits get passed down the generations as young people grow up and become parents themselves. What children see their parents and families doing is what they grow up thinking of as ‘normal’. Preparation space – Cooking from scratch relies on kitchen equipment, confidence in cooking skills, time to prepare food and pleasant surroundings – not the case for many on low income. Limited bandwidth – The cognitive burden of living under financial strain and other modern day life stresses reduce parents‘ mental bandwidth; brainpower that would otherwise go to planning ahead and problem-solving. Families in this situation look for quick and easy ways to eat, and takeaway and convenience foods provide an in-the-moment solution to feeding children quickly, affordably and safely. Advertising and shop layouts – Cues such as special offers, advertising for takeaways, attractive packaging and child-height shelving nudge families towards less healthy foods in shops. It’s not always a lack of knowledge or cost that’s a problem, it’s translating knowledge to practice. In fact, most eating behaviour is driven by unconscious, habitual processes. These are largely immune to education when it comes to behaviour change. Yet this has been our predominant approach to changing dietary behaviour! Multiple collaborative strategies are needed to succeed in changing behaviour: from government, local authority, industry and all food providers, alongside continuing to help individuals overcome their personal barriers. As behavioural psychologist Dr. Paul Chadwick says, it’s not sustainable for people to have to think about every food choice that they make. Healthy eating has to become the default option. Behavioural science shows the importance of interactions between the individual and their physical and social environment when it comes to habit forming and breaking. It’s time the food environment changed to make healthy eating as easy to attain as possible for all, including low affluent groups. It’s also time for families and individuals to be supported in overcoming barriers to breaking the unhealthy habits. We’re excited to be part of the new initiative, Shop Well – Eat Well, to help enable this – especially targeting those on a low income. Starting as a year-long pilot in Southwark, South London, it’s kicking off in June. Community charities and volunteers will join to create peer and professional-led healthy eating seminars and workshops tailored to the young, old and families. At the launch, Kate Arthur, UK External Scientific Affairs & Nutrition Manager at Alpro, explained: “We wanted to find interventions that would encourage people to think about their food choices differently. “Going directly into the community to find out what will work for people is the logical thing to do. We’ll be working on different engaging activities such peer led cookery workshops and drop in seminars, with help from the BDA Let’s get Cooking and an advisory committee of experts, always with an eye on the main barriers. – Duncan Brown, Development Director at charity Shift design: How does affluence impact on food choices? You’ll also find practical and engaging resources to help consumers overcome their barriers to healthy eating.